When you think of British spellings, I think of England. When you think of England, I think of Calliope from an MSPA webcomic. When you say Calliope from an MSPA webcomic, I think of cantaloupes. When you think of cantaloupes, I think of watermelon. When you say watermelons, I think of fruit juice. When you think of fruit juice, I think of my friend Renny that has a hat that looks like a fruit. 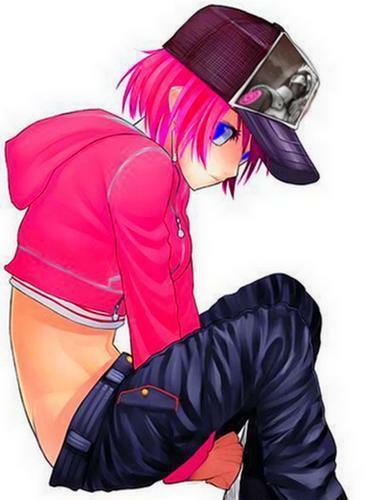 When you say 'my friend Renny that has a hat that looks like a fruit', I think of Fujisaki Yuusuke from Sket Dance. When you think of Fujisaki Yuusuke from Sket Dance, I think of random anime people. When you say random anime people, I think of faceless stickman. When you think of faceless stickman, I think of a stickman with steam-punk goggles and a fedora. When you say stickman with steam-punk goggles and a fedora, I think of hitman. When you say hitman, I think of balds. When you say balds, I think of eagles. When you think of eagles, I think of cute chibi animals. When you think of cute chibi animals, I think of mascots. When you say mascots, I think of costumes. When you say costumes, I think of amusement parks. When you say amusement parks, I think of rides. When you say rides, I think of whales. When you say Whales, I think of the ocean. When you say Pirates, I think of flags. When you say spams, I think of hackers.